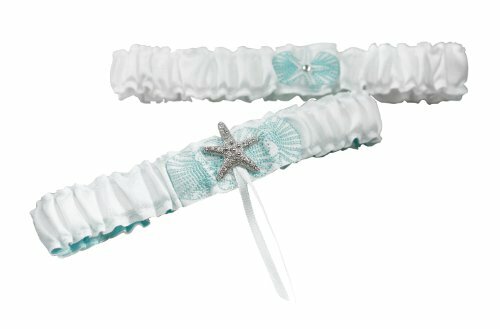 This white garter, with a beautiful water blue linen look lining, has a silver starfish with blue sheer ribbon that will make you want to show it off. MaterialsFabric/ 100 -percent Polyester. If you have any questions about this product by Weddingstar Inc., contact us by completing and submitting the form below. If you are looking for a specif part number, please include it with your message.